FutureBoston examines the competitive challenges Boston faces in an increasingly globalized world, and how the city and region can address them. 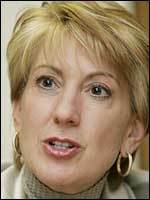 Carleton S. (Carly) Fiorina was president and chief executive officer of Hewlett-Packard from 1999 to 2005. She served as chairman of the board from 2000 to 2005. Prior to joining HP, Fiorina spent nearly 20 years at AT&T and Lucent Technologies, where she held a number of senior leadership positions. Her book "Tough Choices: A Memoir' was released in 2006, detailing her career and her views of what a leader should be, how women can thrive in business, and how technology will reshape our world. She has served on the numerous corporate boards and is a member of the MIT Corporation Board of Trustees. Fiorina has a bachelor's degree in medieval history and philosophy from Stanford University. She holds a master's degree in business administration from the Robert H. Smith School of Business at the University of Maryland, and a master of science degree from MIT's Sloan School. 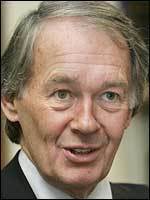 Edward J. Markey was first elected to the US House of Representatives in 1976, and as one of the most senior members in Congress he has shaped more than 20 years of telecommunications policy while championing consumer rights, health reform, the conservation of environmental resources, and the reduction of nuclear threats. He is a member of three key House committees: the Energy and Commerce Committee, the Committee on Homeland Security, and the Natural Resources Committee. He is the chairman of the House Subcommittee on Telecommunications and the Internet, and the Select Committee on Energy Independence and Global Warming. Born in Malden, he graduated from Boston College and Boston College Law School. He served in the US Army Reserve and was elected to the Massachusetts State House where he served two terms representing Malden and Melrose. 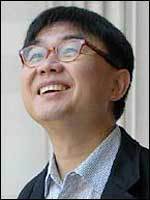 Yung Ho Chang is professor of architecture and head of the Department of Architecture at MIT. He came to MIT from Peking University, where he was head and professor of the Graduate Center of Architecture. He received his MArch from the University of California at Berkeley and taught in the US for 15 years before returning to Beijing to establish China's first private architecture firm, Atelier FCJZ. He has exhibited internationally as an artist as well as architect and is widely published, including the monograph Yung Ho Chang/Atelier Feichang Jianzhu: A Chinese Practice. His interdisciplinary research focuses on the city, materiality, and tradition. He often combines his research activities with design commissions.